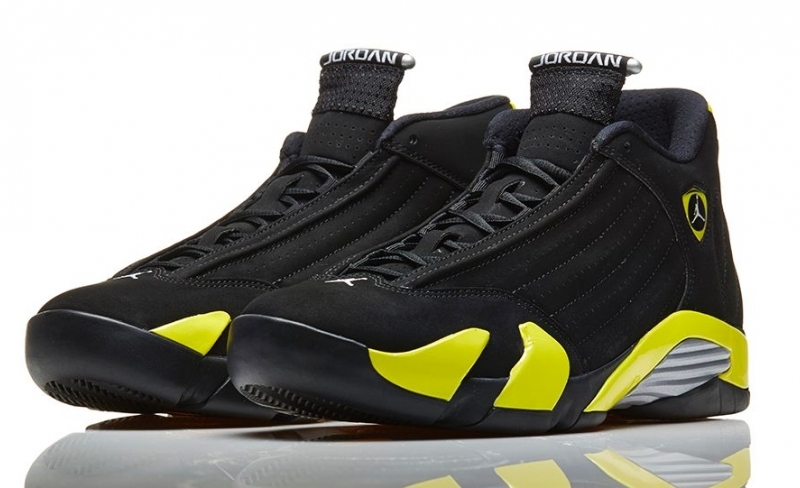 This all new color way on the Air Jordan 14 has released for 4th of July and takes on the popular Air Jordan 4 make up. Black is applied entirely on the nubuck upper while Vibrant Yellow accents can be seen on the midsole, teeth, heel tab and ankle logo. A hit of Grey is also applied onto the midsole while White is used just for Jordan branding on the tongue.